Vedic Astrology will empower you to take correct decisions and to step forward wisely and positively without worrying about the challenges that we face daily. It will let you know your natural strengths, talents and values gifted to you at birth. Vedic Astrology will show you how to capitalise those gifts, and how to step forward powerfully and spiritually to lead a happy and contented life. It will empower you to create a more positive life path by understanding your past and current obstacles. It is a marvelous predictive science appreciated by many as a tool helping them to brighten their life. 2010 was a very busy year for me with a lot of traveling, meeting new and existing clients and providing telephone consultations to many clients around the world. I really enjoyed the work and especially the opportunity to meet beautiful spiritual people. I wish to thank you all for the wonderful support you have given to me throughout these years. Also thank you very much for recommending my service to your friends to consult me when they were looking for some guidance. I have no words to express my gratitude. I feel that I learn a lot every day by analysing many birth charts. I have tried my best to provide as much information as possible to my clients in a way to help them to see the beautiful side of life and to empower them to step forward wisely and courageously in spite of the day-to-day challenges that they may face. I feel like I am not only an Astrologer but also a spiritual Life Coach. I really enjoy my work and I am thankful to all my clients for giving me that happiness and for taking the time to discuss personal issues with me. As usual I wish to remind individuals who have received a Vedic Astrology reading to do a follow-up review consultation once in every 18 months. If you have not done this so far, it is the time to do so as the planetary positions have changed a lot within the last 2 years. Please use the Contact Form (in the Contact Us tab) if you wish to have a consultation or follow-up review consultation with me or if you have any questions. As usual, I always wish to remind my clients to listen to the recorded astrology reading with an open mind frequently even after couple of months. That is the only way to learn out of our discussion. Please step forward slowly while taking all challenges faced as wonderful lessons. Be very positive that you will always see the light at the end of the tunnel. It will take time but allow the time to pave the path for prosperity. VEDIC Astrology or Indian Astrology can accurately predict upcoming events in your life and help you make effective decisions. "Vedic" is derived from the Sanskrit word "Veda" which means knowledge. Vedic Astrology is not only a philosophy that deals with the physical knowledge of the universe, but also one of the most important of the inner or "spiritual" sciences, which deals with the mind and soul. Vedic Astrology assumes the law of "karma", which states that all living beings operate and work within certain parameters governed by actions performed in past lives. There is a precise sequence that needs to be followed during the preparation of birth charts or horoscopes. The charts can assess a person's basic character and can also serve to highlight some of the forces at play that can or have influenced a person in their lifetime. Therefore, the first step towards making accurate readings of any individual is to cast his or her horoscope using the correct time, date, and place of birth. If the time is unknown or not given in the birth certificate you can obtain the information from the hospital archives. Even if the exact time is not known, the astrologer can work out the correct birth time by analysing the positive and negative events that an individual has experienced (known as birth time rectification). The positioning or the placement of seven major planets: the Sun, the Moon, Mars, Mercury, Jupiter, Venus and Saturn, plays an important role in moulding a person's life. The Vedic astrologers also take into account the two shadowy planets, the Lunar Nodes Rahu and Ketu. According to birth time, the rising sign is established and the planets take their proper placement within the horoscope or birth chart. 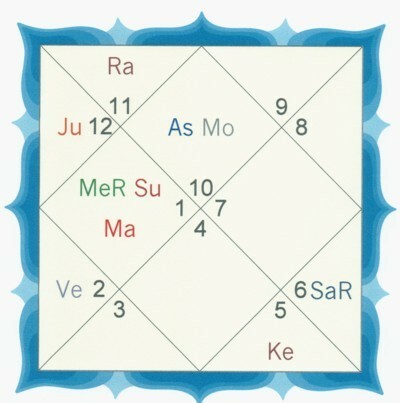 By employing a unique system of planetary periods and sub-periods, and by observing the movement of the planets through the houses of the horoscope and various Vargas (harmonic charts) the Vedic astrologer can predict the timing of events in a person's life. Vedic astrology can be an effective tool in shedding light on certain situations. It can help you to conquer obstacles, prepare you for decisions regarding finances as well as career, and assist in analysing marriage, relationships and family matters. Like most of the other sciences, Vedic Astrology cannot be 100% accurate. However, I have noticed how many people expect astrologers to act like psychic readers or magicians. People often think that astrologers have the power to remove all the problems and obstacles that they have or are going to face in future. Some individuals even visit the astrologer with the expectation that their life will be perfect after the consultation. However, there are many who have the gift of understanding the nature of astrology and hence are able to identify the link between Vedic Astrology and spirituality. They look at their (astrological) reading as a spiritual guideline which will help them to look at their life more positively and differently. They are ready to make a change and to step forward positively. Though the astrologer has no power to remove the negative energy or the planetary obstacles, he can recommend numerous astrological remedies so that one can step forward easily and also avoid some of the problems seen for the future. These astrological remedies may be suggested by astrologers after an in-depth study of a person's birth chart. In India there are thousands of remedies. Some of them may be impossible for us in the western societies to practice as we do not have or are unable to find the proper environment, materials or even the personnel needed to conduct those remedies and rituals. However this does not mean that we in the west have fewer chances of avoiding obstacles. Most of the remedies will cost you a lot. Specially, when selecting gems one has to get a reasonably bright colored, big and clear gem which also has to be natural. Likewise, when chanting mantras, some mantras have to be chanted over 10000 times. This difficulty also applies to preparing a Yantra, Talisman or a ted Thread. When it comes to rituals it will be same with arranging poojas and offerings. Also we may not find the suitable environment or personnel to do these rituals and japas. Therefore, I personally recommend my clients to practice spirituality as a very effective remedy. Many individuals think that they can overcome obstacles through Gems, Mantras or Rituals and consequently they spend a lot of time and money for these remedies. My argument is that these remedies will never help us unless we are very spiritual. Therefore, I never encourage my clients to spend heavily on remedies rather than devoting more time for spiritual practice. One’s religious background or beliefs can help to strengthen their spirituality but to practice spirituality the religion is not a barrier. In this competitive world it may be difficult to live as given above but one who is gifted with spirituality can practice all of them to a certain extent. Most of us find it hard to practice pure spirituality because we are sometimes pulled astray with greed, lust, sensual pleasure, jealousy, anger, anxiety and cravings. Therefore, it is important to try and keep away from all these sense desires. Therefore, one who tries to and lives according to the above given practice will always overcome most of the obstacles in life and will gain happiness. I doubt that it will cost a lot to lead such a lifestyle. Spirituality, in a narrow sense, concerns itself with matters of the spirit. The spiritual, involving (as it may) perceived eternal verities regarding humankind's ultimate nature, often contrasts with the temporal, with the material, or with the worldly. A sense of connection forms a central defining characteristic of spirituality — connection to something greater than oneself, which includes an emotional experience of religious awe and reverence. Equally importantly, spirituality relates to matters of sanity and of psychological health. Like some forms of religion, spirituality often focuses on personal experience. Spirituality may involve perceiving life as higher, more complex or more integrated with one's world view; as contrasted with the merely sensual. Gem therapy - In Vedic Astrology it is indicated that gems affect the human body, giving either negative or positive effects. Every gem has the power to absorb the radiation emitted by a particular planet. Therefore, in order to receive its benefits, the gem pertaining to a particular planet should be worn. The individual should avoid the use of gems related to malefic planets in the horoscope. It is always advisable to use the gem which is related to the strongest planet of your horoscope. 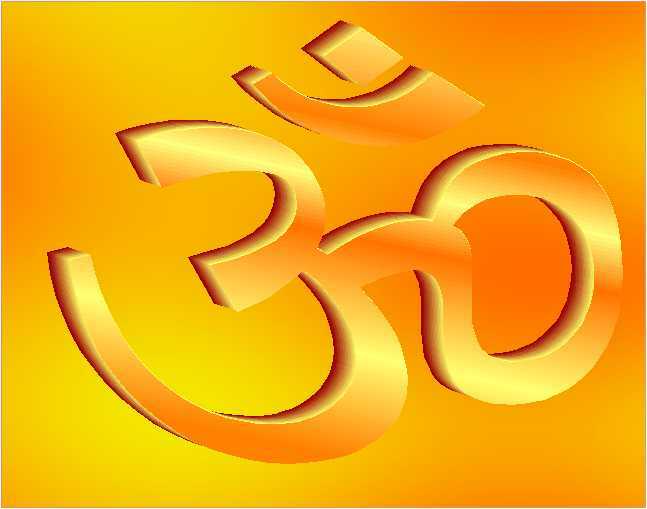 Mantra - The word mantra comes from the Sanskrit word manatrana which means advice or suggestion. Whether it is one word or a string of words, a mantra is a sound pattern with meaning and also frequencies that have energy of their own. The efficiency of the japa or chanting of mantra is accentuated according to the degree of concentration. 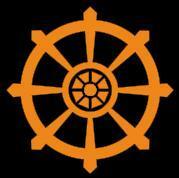 The mind should be fixed on the source or the related Yantra, Talisman or Thread. It is only then one will realize the maximum benefit of a mantra. Rituals – All the planets have a specific deity that represents the planet. On top of that there are deities that represent certain events in our life. 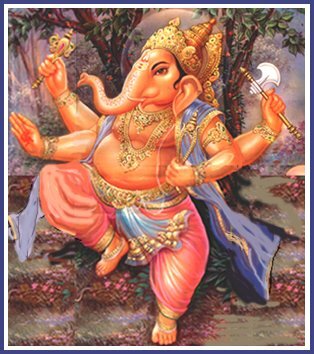 Each deity has a certain color, specific appearance and a unique vehicle (the animal it rides signifying its underlining power). Therefore, worshiping and performing offerings to these deities will help one to be protected from the negative energies seen in the horoscope. There are lots of different meditation techniques but here is a simple and easy one based on counting the breaths. 1. Sit upright on a straight-backed chair or sit cross-legged on a cushion on the floor. Try to maintain a relaxed pose but keep the back straight and the head slightly bowed. No need for contortions - be kind to your knee joints! 2. Close your eyes, check for muscle tension throughout your body and focus on the area that is causing the tension, consciously relaxing the muscles. 3. Make sure your mouth is closed and focus on the breath entering your nostrils. Don't try to force or regulate the breath, just breathe normally. 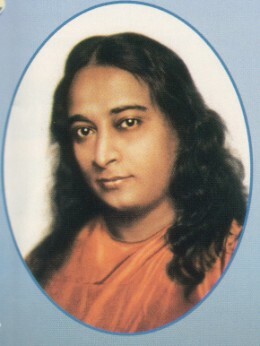 Gradually, your breathing will become steadier and more gentle but there's no need to consciously aim to achieve this. Let the natural rhythm of your breathing take charge. 4. After a few minutes, begin to make a mental note of the breaths 'one' [in breath] 'one' [out breath], 'two' [in breath] 'two' [out breath] and so on up to ten. 5. What you will find is that your mind wanders - as the mind does! Don't be put off by this, the mind is used to getting its own way and having a totally free rein. Just keep coming back to the counting and do this for ten to fifteen minutes. 6. If you prefer, don't bother counting and just concentrate on the breath as the air touches your nostrils. Make this the focus of your attention. 7. Don't try to achieve anything. Meditation is not a feat of endurance or a quest for dramatic experiences. At its most basic it's a means of relaxing both body and mind. 8. Practice this every day - morning and evening if possible - and see for yourself the benefits that develop from it. 9. As you get into the habit of meditating you might like to sit for longer periods. It will depend, to a large extent, on your other commitments. 10. Finally, this is one meditation method amongst many others. Explore other methods and find one that suits you.
" 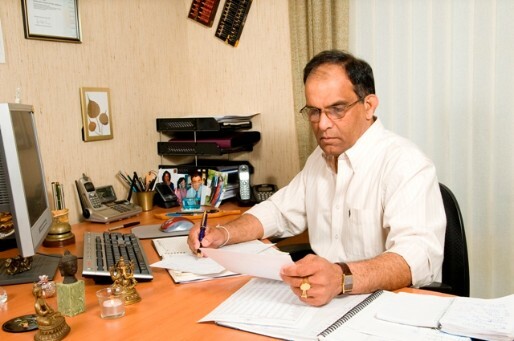 I first contacted Dr Theja when I was told the news of a health crisis. He contacted me straight away and I must say, I found his words of reassurance were of an immediate comfort to me... And all this was before he even had done my birth chart. I was genuinely amazed at how accurate Dr Theja was in his reading of my health, relationships and other areas of my life. Again, he was able to give me great comfort with his advice and suggestions. As far as I am concerned, consulting Dr Theja was the best gift I could have given to myself. I just wish I hadn't waited before having a crisis to do it. Ms ColleenT - Gold Coast, Qld. I wanted to send you an email earlier but I wanted to re-listen to your analysis again before doing so. I must say....your analysis FAR exceeded my expectations. I'm not sure you are extremely intuitive or your analysis is based upon astrological factors. Either way, I'm curious to know how can one know so much. For example, you mentioned detailed information about my brother and my overall life from birth to now, and your knowledge and analysis are entirely correct. How can one know so much as a result of astrology? If this is the case, it tells me, I have to study astrology more in-depth and start working to change my life. You are correct in your analysis that the Divine did in fact want me to contact you to assist me on my spiritual journey. I believe your reading will help me to move forward spiritually. Thank you for such a wonderful analysis. I will definitely recommend you to others. Thank you again for your insights and God bless you for the objective and genuine service that you provide. It is a real blessing to have made your association. I used to feel that consulting an astrologer means you do not have faith in God. But consulting you has made me realize that astrology is not meant for forecasting the future…but to understand what are your strengths and weaknesses and may be understand what is the purpose for which you have been sent here on this earth. My daughter Louise was very excited after visiting you. She felt she gained a great deal of insight from your reading……………. I am doing fine thank you Dr and still integrating the Consultation. I partially listened to the CD last nite and it is great to have it as a referral. I intend listening to it in full over this week end. I have peroused the data you gave me and it seems to be slowly sinking in. Already I would have no hesitation in recommending a Vedic Consultation to anyone and in due course will organise one for as many Family members as I can; but certainly my Daughter as she features so poignantly through my own chart. A little note of thank you for the wonderful reading. It made much sense & gave me a new perspective on life in general, a more positive outlook !. You explained everything so well that I don’t really have any questions ! Thank you so much for your lovely email today. It really was a pleasure for me to meet you last night. It was so lovely to meet you and have a very interesting conversation. As we said last night, it was pre-destined for us to meet. I feel that you are a very special man and you truly do have some wonderful gifts. I felt very uplifted when I went home after spending some time chatting with you. Once again thank you and I am so glad that our paths have crossed. Have a great day too. It is quite amazing that you can tell a person’s character, behaviour accurately and also health issues even though you haven’t met the person – just from the birth date & time. Regarding current events in my life, you told me that romance was in the air for me--that too was accurate. Regarding the sunglasses I left behind at your house, please keep them as a symbol of you having lifted a veil from my eyes. In terms of personality analysis - most (80%) of what you have stated in the report is true at least from my self observation. You are right about relationship issues. Overall Dr Theja, I will say the report is 80% accurate at present. ……………. Once again, I thank you for your time for an insightful report. It is both positive and encouraging. The phrase "It's all in the stars" certainly rings true for me………. Thank you for writing to check how I am going. I have just listened once more to my tape recording you did for me at our reading in early January. I would have to agree with much of the predictions. I want to thank you for you're time spent talking to me. You have made a positive difference to my attitude/life and I am grateful for that, I hope that anybody I do steer your way is helped also. Greetings from Tokyo, Japan where I am on my business trip. I would like to take this opportunity and THANK YOU VERY MUCH for the reading which confirmed my inner voice and intuition and provided me with further mapping of my near future. As you were one of the people who encouraged me to study this year, I just wanted to say that I have completed the year with flying colours. Four Distinction's and one High Distinction. I am very pleased. I found your interpretations of my chart in Vedic Astrology was very apt. Intrigued by the uncanny way you could describe the individuals connected with me and of the essences' of the different periods of the life as to how and why was rewarding and fascinating to hear. Your reading was enlightening and astonishing, it makes one wonder about the true past history of earth given the highly accurate readings obtained from mathematics supposedly developed by a technologically inferior civilisation. Hi Dr Theja,It was nice to meet you last night. Thank you for inviting me into yourhome and reading my astrology chart. I find it all fascinating andenlightening hence my chart indicated a strong spiritual path. Seek and yeshall find! I am sure I will have a question or two in the nearfuture.................after a bit of reading! Sorry I haven't replied sooner but like you I have also been busy. You are most welcome to the recommendations, I think you are a very gifted and amazing man and I am honored for my friends to be blessed with your presence and wealth of information, I will recommend your work to everyone I know, hopefully those who are blessed will find themselves in your company. Thank you for the insightful and clarifying readings. I felt uplifted and in touch with the deeper places of my soul. You have a rare gift of compassion with the ability to guide gently. Hi Theja,I was just thinking of calling u today, remember how I could not get any offers for my house, after seeing u on Friday, I had an Open House the next day Saturday and the first customer has put an offer and I have accepted it. You are fantastic. Thank U so much for the courage and inspiration u gave. Thanks so much for your prompt reply,I know you are avery busy man. What an excellant presentation you gave at the PDA !!! One can tell your passion in life is the Vedic Astrology. You are almost channelling when you are up the front. It's all soooo natural. Thank you my gift of a friend. Just wanted to say thank you for the chart reading it was excellent, I really enjoyed our time together and I learnt a lot . Thank you for your time and expertise on my chart. I found your interpretations very useful, especially the parts about upcoming dates, events and cycles in life. You are clearly a man committed to the service you provide, much to the benefit of all who meet you. If I would offer one suggestion, it would be to have your client tell you "three things you are concerned about in your life at this time, to help me focus this reading into those areas to assist you". In my case, for example, I would have stated "relationships, home life, physical body" as my three areas. Of course you would cover these areas during your reading in any event, but would have already established a "link" to your customer's concerns from the outset. Incidentally, asking for three (or four) SPECIFIC concerns makes it a lot easier for your customer to answer you - and for you to get comfortable with them - than just asking "what are you concerned about?" That is too big a question, too vague, too hard to answer well, too easy to avoid.Hope this helps! Your reading has been most accurate about many things and has given me much insight about my parents and siblings. 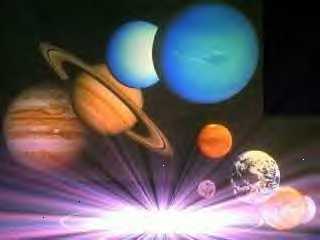 I find it amazing that our life here on earth is linked to the planets and the universe. It took me quite a long time to come to terms with this fact and Vedic Astrology has definitely confirmed this for me. Dr Theja, thank you very much for your time in Singapore and I hope I am not loading you with unnecessary work with all my questions. I do realise that you are a busy man and I hope that I will receive a reply from you at some time. with you and I am so grateful. How are you? This is Tai from Malaysia. I consulted you in KL at Mr Thena's office after attended your recent talk in Kuala Lumpur. I must say that it has given me a better sense of direction how my life will be like in the next 5years or so and this has help me to take the necessary precautions and preparations now working towards achieving my goals in life with more awareness. Thank you very much. Dr Theja, I would like to seek your kind advice on horoscope for my girlfriend born in Hanoi between 7:00am and 8:00am in the morning on April 27,1979. Appreciate it very much if you could help me to understand her horoscope. I am Libra rising(my "lagna"). I listen to your advice on the tape every morning. It calms me and gives me something to look forward to in my life. tape today and it was so interesting as changes you predicted would happen from late September are taking place. You told me that I would be signing alot of documents - something I completely forgot until listening to the tape today. Last Friday I handed in the last of many many forms relating to my study next year! life. For months now I have felt at peace and wake up and go to sleep with a smile on my face. best to proceed through this time in my life. I also especially thank you for the spiritual guidance you offered me, I truely appreciated this and have found benefits in practicing a little more meditation andloveto all persons etc each day.